Design learning materials for play and discovery – ideally, without instructions or right and wrong ways of using them. Be brave, and trust that your learners are intelligent and will figure out what to do. Test, redesign, and in the process get really good at observing what learners really do with materials. Give learners some tools but trust and set expectations that they will discover and invent their own tools. Encourage learners to make their own models and learn how to make new models of what they are building and learning – emphasizing that opportunities, roles, and problems that don’t exist today will arise in their future. She earned her undergraduate degree from UC Santa Cruz in 1998. Her first job post-college was with office furniture dealer Coordinated Resources, known as CRI San Francisco. Working with Herman Miller and others on furniture design turned out to be “how the artist I was on weekends – who I felt I was — started to come together with what I do for a living. I grew up in a small town and didn’t know what a designer was.” “Making art on weekends in my basement,” informed by her work in the contract furniture industry, turned into one-off furniture designs Holman sold to galleries and restaurants. In 2002, she started pursuing a degree in 3D design at Cranbrook Academy of Art – where she designed her first “tool for the imagination” – Geemo, a new kind of building toy with “flexible magnetic limbs that grab and repel each other in unpredictable ways.” Geemo was launched at the Museum of Modern Art in 2007. The toys that Holman designs enable those who play with them to invent stories about what they build – “not just a structure but a giraffe or a monster or some kind of abstraction that doesn’t resemble anything else.” At the time Holman designed Geemo she was working at in architectural design in New York. Then Geemo won an award and MOMA wanted to add it to their offering. While she was working at the New York architectural design firm The Rockwell Group, the oversize building blocks she designed for New York’s imagination playground are now used all over the world. Holman started a company, “Heroes Will Rise,” in order to “design and manufacture tools for the imagination. These materials are manipulable parts and pieces which inspire constructive play, imaginative forms, and cooperative interactions between people.” One of her design goals was to make the instructions for use implicit in the design of each toy. After three years at Syracuse University, she joined the Rhode Island School of Design. 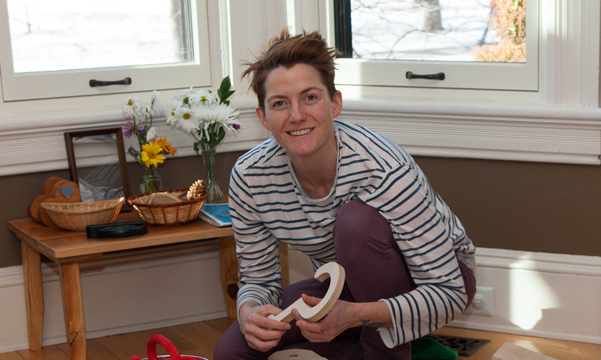 Holman’s professional network grew largely out of her work with the imagination playground. “One led to another. And in recent years I’ve had people I didn’t previously know but who admitted professionally approach me. I realized that I’m in conversation with other designers through my work and my networks. Child psychologists who advocate for playful pedagogy are part of my network – play informs the work I’m doing and the work speaks to people who take the same approach. They contact me and I learn from them. So I’ve come to realize that it’s more than a network of designers – I have a network of people who are working around play and learning and people who are advocating for the values of childhood. Images provided by: Cas Holman.